Welders may seem like “men (or women) of metal,” but in reality, they are just as much flesh and blood as the rest of us and need the highest degree of protection as they work everyday with their hands. 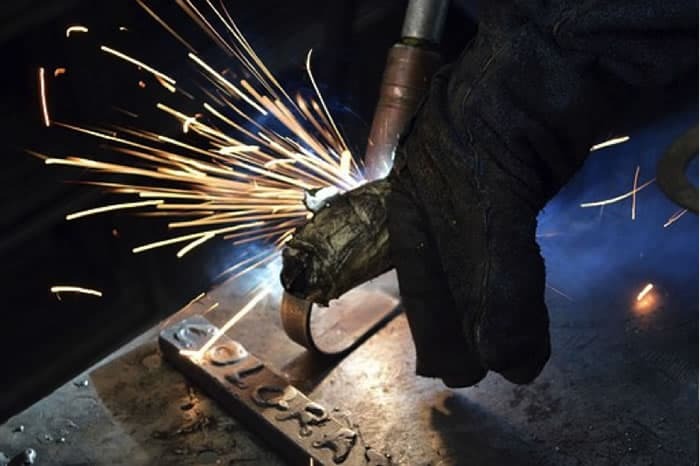 Helmets, torches, adhesives, abrasives, filler metals, and more are all essential welding equipment – but a welder’s hands are his livelihood, and therefore, top-tier welding gloves, like those available from Welding Outfitter, are perhaps his/her most important piece of equipment. For any top quality welder’s gloves, the material needs to be tough, highly durable leather. Leathers resist abrasion, dissipates heat, is non-conductive, and will not ignite. Goat and cow hide are the most common materials – but there are many other varieties, each with its own advantages. Goat skin is soft, strong, and gives you excellent dexterity. Cow hid is bulkier but has better heat resistance. Pig hide works well even in wet, oily environments. Elk skin hardens slower under high heat, which helps reduce hand fatigue. Kevlar material for stitching seams offers many advantages. It has a higher heat resistance than cotton yarn, which means your seams won’t split, need repair, or endanger your hands when with cotton all that might well have occurred. Kevlar is also more resistant to cuts, which can occur when seams contact sharp edges during welding. What type of insulation material you need will depend on how high of a heat level you’ll be working with. Cotton works well for temperatures as high as 450 degrees Fahrenheit, while Kevlar linings are safer for temperatures up to 800 degrees. Also, an aluminized backing (on any insulation material) will reflect up to 95% of radiant heat away from your hands. That makes your work safer and also allows you to work longer between breaks. It might seem “tougher” to weld with a short sleeved glove on, but the fact is UV rays can damage any unprotected skin it comes in contact with. Of course, a long sleeved shirt could be used, but that might ignite from flying sparks. And a leather jacket might leave a small skin gap between jacket and gloves unless your gloves are long enough. Both cancer and skin-burn is a very real risk if you weld with any skin unprotected within several feet of the welding operation. Make sure your welding glove sleeves are long enough or you “cover the gap” in another way. Let’s face it, there’s no good reason why welding gloves with all of the preceding qualities and more shouldn’t be affordable. Now, the more durable the glove, the more you can afford to pay for it. But if you weld much, eventually your gloves are going to wear out – even the best gloves. You need a supply of affordable gloves, therefore, that you can quickly access and that won’t compromise on quality in order to lower the price. Welding Outfitter is a great online, one stop shop for the best welding gloves and all other welding equipment. Don’t compromise on glove safety and convenience features, because today’s welding gloves are miles better than those of 10 or 20 years ago, and the fact is, you can find this caliber of glove for very, very affordable prices in you do a little research and comparison shopping.